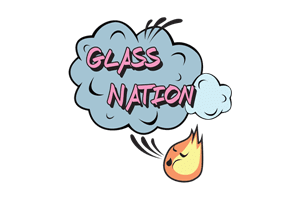 Glass Nation has the best metal pipes online and in the world. We know quality and that is why we only offer the highest quality metal pipes online. The metal chillums and metal one hitters that we sell are some of the most durable pipes online. Our metal smoking pipes are made out of the high quality materials. It is a fact that lots of online stores sell poor quality pipes of all different kinds of materials. However, we are committed to selling only the most premium quality metal smoking pipes around. A metal smoking pipe is perfect for on the go use such as camping or on a boat. It can handle lots of tossing around and heavy hands. A metal bong is defiantly something that everyone needs to have in their life. Furthermore, you should never have to worry about a pipe breaking.